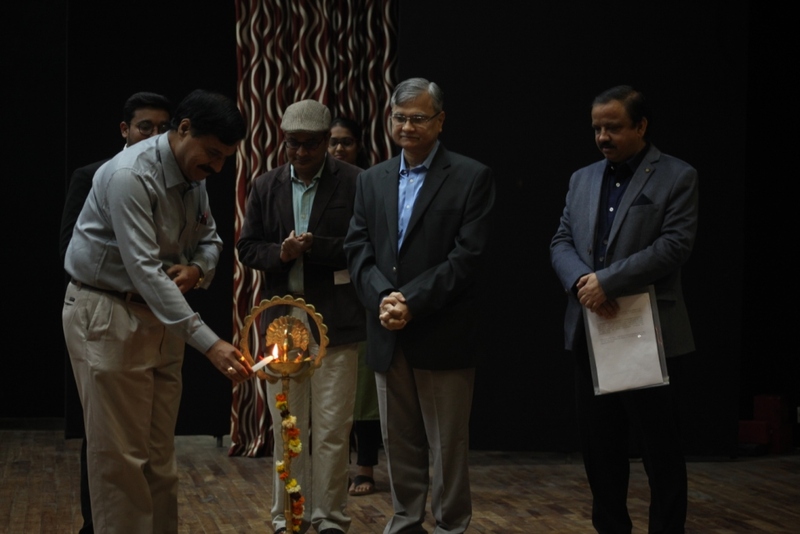 The Inaugural Ceremony of Cognizance 2019 was graced by Dr. P. V. Venkitakrishnan, Director, CBPO, ISRO HQ who was present there as a chief guest and Dr. Satyam Priyadarshy, Chief Data Scientist Halliburton as the Guest of Honor. Dr. P. V. Venkitakrishnan, Director, CBPO, ISRO HQ said “As compare to past experiences India has grown so far. We must need to change the perception of India in front of world. ISRO is contributing its services in world Wide & successfully launching their rocket & satellite, he added that there is a huge scope in the field of technology and science where the productivity level is unlimited, we need to have Indian brand atleast in one region for what people will come to India like Samsung and Hyundai of South Korea which has world level identity . Prof. A. K. Chaturvedi Director IIT Roorkee said “Cognizance has grown every year in terms of diversity of events and content, we all have started to take Cognizance more seriously in terms identifying and addressing the problem that India is facing. The opening event was also graced by Dr. M. A. Paul, Deputy Director, RESPOND, ISRO accompanied by Prof. A. K. Chaturvedi (Director IIT Roorkee), Prof. Anand Joshi (Deans of Students Welfare), Prof. M. K. Barua (Associate Dean of Students Welfare), Prof. S. H. Upadhyay (Associate Dean of Students Welfare) and Prof. Manoranjan Parida (Dean of Sponsored Research and Industrial Consultancy). Cognizance ideates that our small actions can bring about good changes in the system through our social initiatives profoundly called HASI (Health and Sanitation Initiative) for Girls, #tbt (Think Before Throwing), Revival of Rivers, and UTSE (Uttarakhand Talent Search Examination). The inauguration was followed by a keynote lecture delivered by the honorable Dr. Satyam Priyadarshy, Chief Data Scientist Halliburton. All the technical, Gaming, B-Street, innovation conclave, valuation challenge, and departmental events were kicked off on Day 1 of this technical confluence. The evening of the first day witnessed the Book Launch by Purnima Gupta as a part of the Literature and Arts Festival. The day was seized by the very famous Indian Comedian Zakir Khan enthralling the crowds with his talent.